With half of Netflix's four Marvel shows already streaming, Marvel's Daredevil and Marvel's Jessica Jones, fans have been waiting for updates on the other half of this slate, Marvel's Luke Cage and Marvel's Iron Fist. The streaming service hasn't announced any official premiere dates for either show yet, but Marvel's Luke Cage has already wrapped production and is rumored to debut in late summer. As for Marvel's Iron Fist, updates have been few and far between. But Heroic Hollywood is reporting that Marvel's Jessica Jones writer Scott Reynolds has joined the writing staff. The site captured a screengrab of the writer's Twitter page, where his bio states that he is a "Marvel/Netflix Iron Fist writer" and a former Jessica Jones writer. While this isn't any sort of official confirmation, the scribe did edit his bio after the original story was published, removing any mention of Marvel's Iron Fist. Still, the move would make sense, since he does have a history with the new showrunner. Last month, we reported that former Dexter executive producer Scott Buck has signed on to serve as showrunner on Marvel's Iron Fist. Scott Reynolds previously served as a Dexter staff writer, so it would make sense for him to jump over to Marvel's Iron Fist. At this time, the series hasn't announced any cast members yet, but if the writing staff is starting to come together, perhaps we'll get casting news soon. Returning to New York City after missing for years, Daniel Rand fights against the criminal element corrupting New York City with his incredible kung-fu mastery and ability to summon the awesome power of the fiery Iron Fist. There have been reports that Marvel was originally considering Asian-American actors as Danny Rand, after a grassroots movement started online last year for the studio to cast an Asian-American. However, the studio is now seeking white actors for the title role. The studio is also casting other roles such as Dylan Kendall, who could be either Danny Rand or a younger version of his father, and Harry Marshall, a Caucasian male between the ages of 45 and 50. There have also been rumors that Carrie-Anne Moss will reprise her role as Jeryn Hogarth from Marvel's Jessica Jones. Marvel's Iron Fist is the fourth series as part of an overall deal between Marvel Television and Netflix, which has already released the critically-acclaimed first seasons of Marvel's Daredevil and Marvel's Jessica Jones with Marvel's Luke Cage premiering in 2016. All four heroes will then unite in the mini-series event Marvel's The Defenders. 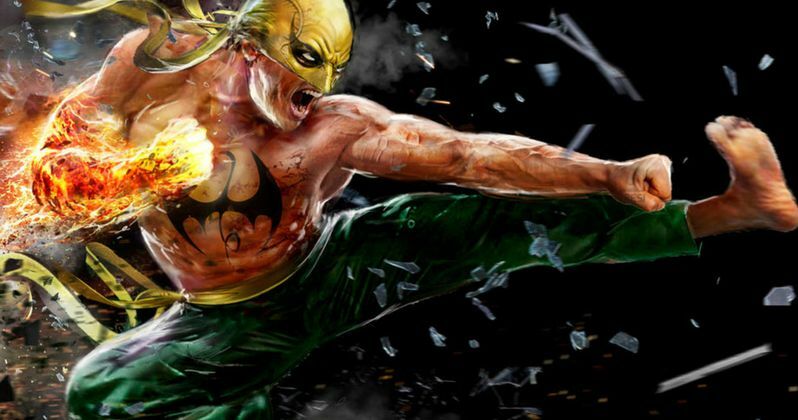 What do you think about the new showrunner for Marvel's Iron Fist? Stay tuned for more details on this highly-anticipated TV series.